I run the VIPVA which is an industry organisation training academy and source of information for PAs, freelancers and online business owners to find out what they need in terms of how to run their businesses safely and a community to support them through their online business journey. It is also a great place for VA and non VA business owners to find additional support in growing and making their businesses a success. We also do a lot of campaigning around the worth of online business owners, rates and raising the profile of VAs and getting them to understand and realise their worth. I started this business in 2016 having already run a successful online business myself for many years. Through VIP VA we focus on providing a membership community for existing VA business owners to network and continue their professional development and continue to learn and grow and also for those who want to start their own online businesses. We have a full range of training options to support them in that mission as well. 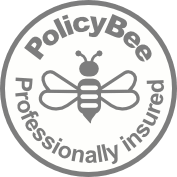 We’re proud to be the organisation that first championed and set out the need for industry-standards within our industry and we continue to do that through our membership criteria and accreditation as well as engaging with business owners around the benefits of working with a professional accredited Virtual Assistant. The main driver for me starting my business back in 2012 was that I had just become a mum and the thought of returning to a city-based job where I had to commute and I’m not seeing my little one quite as much was not feeling good so I decided that I would go it alone and try and create a business on my own terms that I could run flexibly and continue to be a mum whilst also following my career passions. It’s usually my children who get me up in the morning like most mums I’m sure and I really get a kick out of the fact that I get to support other people that are striving to create their own businesses on their own terms as well. So partly still my kids and my family, my purpose, my big why, but also the fact that I get to support other people doing exactly the same as well. If I could change one thing about my first years in business I think it would be to have more confidence in my beliefs and not be sweating the small stuff all the time. I think I thought at the time that I needed to have the perfect website and I needed to be able to offer absolutely everything to everybody. I really was quite lacking in in confidence around it all as well. I think on reflection I wish I had just trusted my gut and offered what I knew that I was good at and also believed that I could do it because of course I could! I would’ve worried a hell of a lot less and life would have been more enjoyable in those early days! Plus, my gut has never let me down! I’m sure like many online business owners that also juggle family alongside their businesses my biggest challenge has been around finding that balance and integration between my family life and my business life. It isn’t easy you can’t put the chicken in a box. I think finding a way to make all the puzzle pieces fit together is challenging and continues to be a challenge. I’m not sure that I’ll ever be able to find that holy grail of work life balance, but I think after six years in business I’m starting to get the integration of the two key areas right more often than not! My number one tip for other entrepreneurs who want to develop their personal brand is just be yourself. Authenticity in business is something that is often overlooked, especially when we start out we think that things need to look a certain way or sound a certain way. But remember, there is no blueprint for your business – you create your blueprint for your business and that comes from throwing a whole lot of you-ness into it. Never being afraid to be authentic and make your business and a reflection of you and your personality. My biggest piece of advice to other women thinking of starting their business is to invest time and energy in planning upfront. Building solid foundations on for your vision and your business is important. Just like when building a house, the foundations are the first step and absolutely essential to it’s success. You need to make sure that you have all of the essential individual parts of your business ready to go and set up in the right way to make sure that you are not only safe now, but that you can then scale further down the line. You want to ensure that your business will continue to be a success, so it’s worth investing time and energy and money if you need to, to fill any gaps in your knowledge or to bring someone in to support you at the outset. The other thing you need to do is to be super clear on what I call your big Why or understanding why you’re trying to build this business. Is it financial freedom? Is it more time with your kids? Is it to turn that hobby into a profitable business? It might be all of the above but be really clear on what you’re trying to build on which will help you when you have those inevitable dips and lows on the entrepreneurial journey. The social media platform that has helped me get the most customers to date is definitely Facebook. I’m a people person, the products, the services that I sell and speak to real people who are socialising and building their businesses by networking on Facebook and within its communities. I have had success on Twitter and Instagram and LinkedIn, and being present on these strengthens my brand, but primarily my target market which is women looking to set up and grow their online businesses, tend to be on Facebook. Charlotte set up first her award-winning online business after leaving a long blue chip corporate career following the birth of her son in 2012. She then went on to launch her online business management and strategy consultancy in early 2015. She passionately supports small businesses and freelancers and splits her time between working with female entrepreneurs on effective online business strategy, coaching new and existing business owners and spearheading a new and collaborative movement with VIP VA.
Charlotte launched VIP VA in January 2016 keen to support, nurture and champion the VA & Freelance industry, and to create a safe space for high performing online businesses to collaborate, knowledge share and continue their professional development. She supports & trains aspiring and existing VAs & online business owners as their coach, mentor and chief-cheerleader for their goals and ambitions. Founder and CEO of VIP VA, Charlotte campaigns heavily to improve industry standards and engage with VAs and business owners alike around the true value of the VA and worth that they bring. Last year she led the #timetoeleVAte campaign in partnership with IPSE to redefine the VA profession, change perceptions and improve how the industry is seen both by those inside and outside. She also ran her inaugural conference for VAs & online business owners, EleVAte in October 2017 which was a huge success.